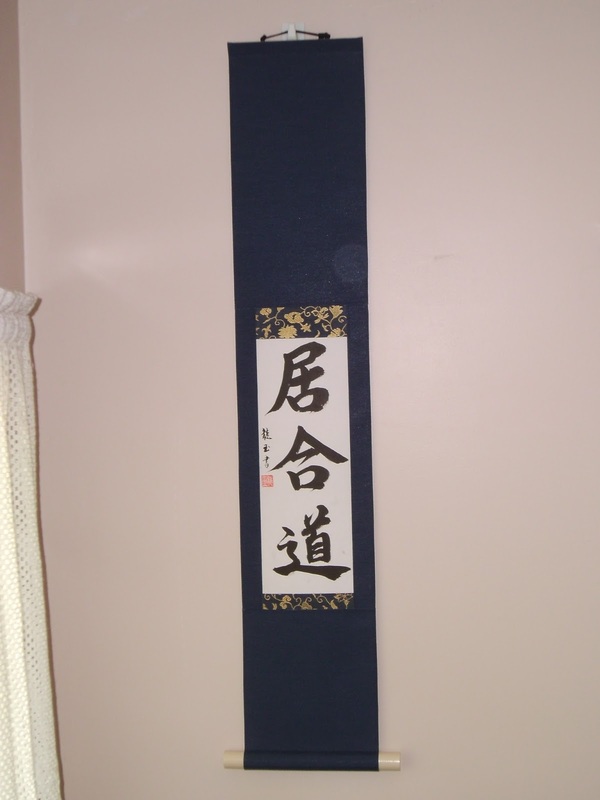 A scroll written in cursive by Yoshimi Ryugyoku Yamada and the scroll completed by Jonathan Maples. This was another scroll for a martial art studio back East. It reads Iaido in Semi Cursive Script. It was brushed by Yoshimi "Ryugyoku" Maples. I chose the blue cloth for this to go with the gold on blue ichimonji. It is finished with an ivory plastic jikusaki and a navy hanging string. This is somber, but it is relaxing on the eye. Measurements will be given later. This was a first iteration of the persimmon that was finished in monochrome. The customer said they wanted both. So this one is in a more formal Yamato Hyougu style with the fuutai. It was created specifically for a suiseki (viewing stone) in this individuals collection. He wanted the scroll large with lots of white space. I hope it does not overpower the stone. It is completed with a shike light brown cloth for the ten and chi. The Chuumawashi is a green/gold with a karakusa. 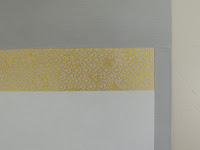 The Ichimonji is a gold on brown. I completed it with a Kincha hanging string and a green ceramic jikusaki. Distant Cliff Scroll. Many of you may recognize this image from the winner at the 4th USNBE. This was the third iteration painted, that I did not put into a scroll at that time. I did it in a dark green ichimonji, light green/yellow chuumawashi (intermediate cloth) and a khaki ten/chi. 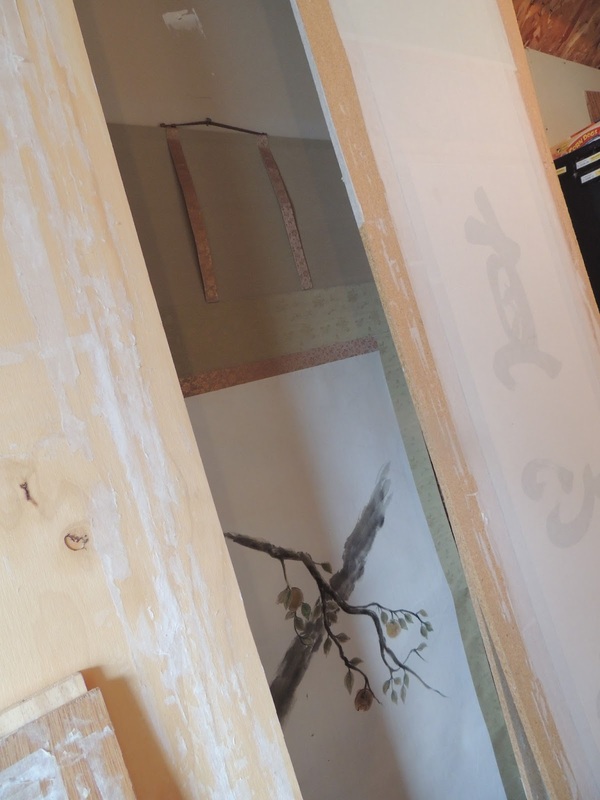 It is finished with the uguisu (dark green) hanging string and ivory plastic jikusaki. It is very representative of spring. It is roughly 4 feet long by 1.5 feet wide. Painting is by Mariusz Szmerdt of Poland.